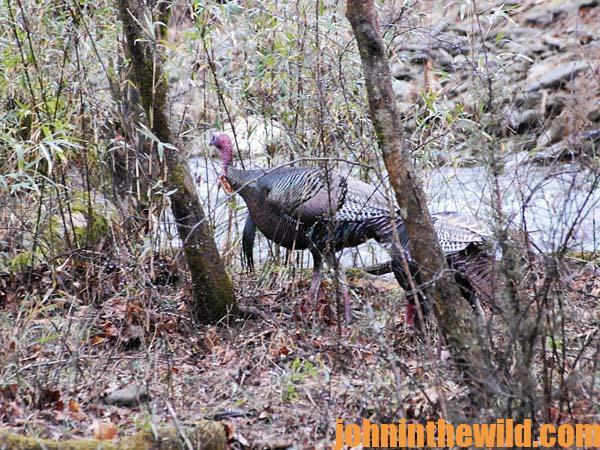 John’s Note: Bob Walker of Livingston, Alabama, began turkey hunting with his dad at the age of 5. 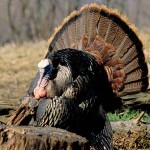 By age 13, he could call and bag his own gobblers. He hunts turkeys every year, about each day of the season. 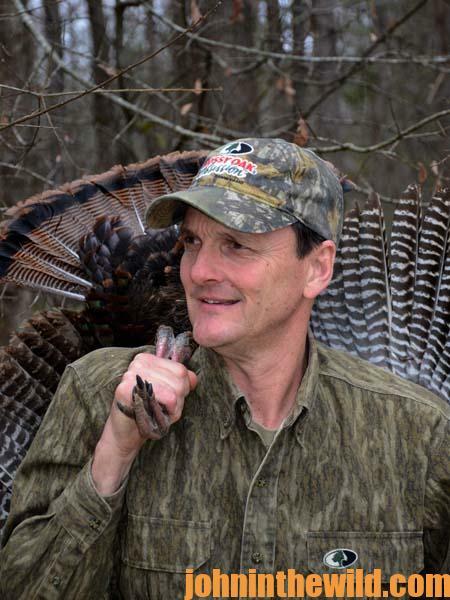 Walker’s won many turkey calling competitions and is a longtime guide at Bent Creek Lodge (http://www.bentcreeklodge.com) in Jachin, Alabama. Although three gobblers were less than 50 yards away from me and my hunting partner, Bob Walker some years ago, I couldn’t get a shot. The birds stood behind the top of a fallen tree. 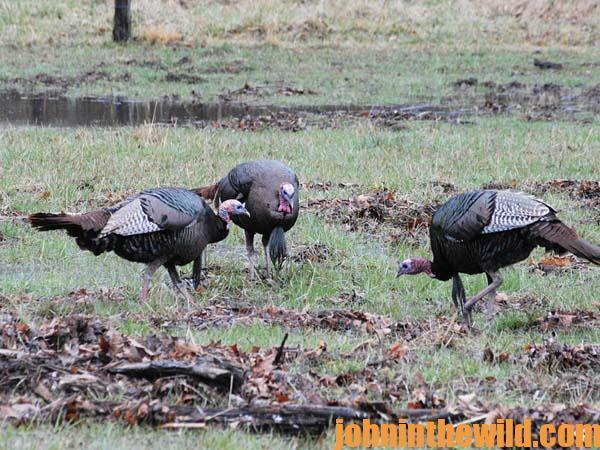 Walker and I occasionally spotted their tail feathers and their heads, but I never could see enough of the toms to shoot. 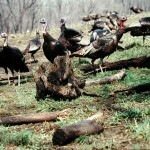 However, bagging any one of these gobblers was the least of my problems that day. 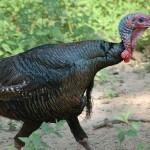 At that moment, we heard a second turkey gobble off to our right. In less than 5 minutes, Walker and I saw wings in the air and watched as the first gobbler that had been coming to us fought with the second gobbler less than 50 yards from us. But the two toms never presented a shot. Once they had called a truce in their war, a third turkey gobbled on the ridge across the bottom from us. 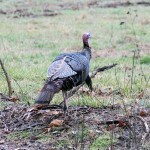 The two toms in front of us, just out of our gun range, made a beeline for the third gobbler. When the birds were out of sight, I shifted my position but still leaned against Walker’s knees, so I could make the shot. 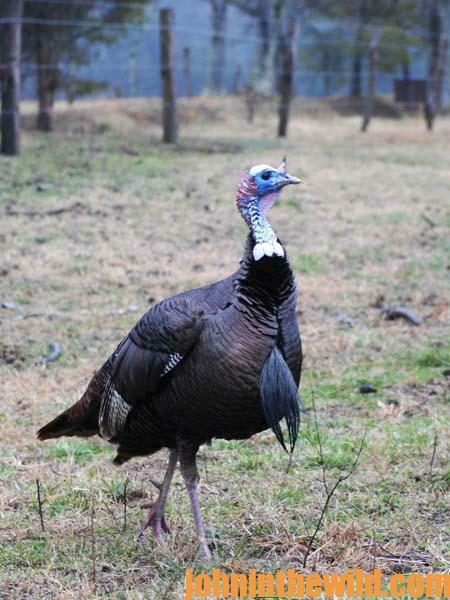 The three gobblers walked together down the rolling hardwood-covered hill and strutted and drummed behind the dense brush, about 50 yards from us. 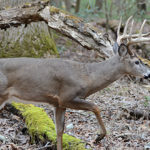 Walker and I felt as uncomfortable – make that miserable – as two turkey hunters waiting for their shots possibly could feel. We scratched in the leaves, and the turkeys gobbled. Walker gave soft clucks and purrs, and the turkeys gobbled. We shut up, and the turkeys gobbled. We did everything a hunter should do to make a tom come, but these three birds evidently preferred their own company rather than the promise of dates with lady friends. Finally, after 45 minutes of cramping muscles, straining eyes and sore fannies, the three birds walked away from us. Although we didn’t get our gobbler that day, we saw a show and had a hunt we’ll both remember for many years.